The Firestick Plant, (Euphorbia tirucalli 'Rosea'), is an unusual houseplant formed by tangled green, succulent pencil-like stems that branch up. It is a member of the Euphorbia family which includes the Poinsettia that we see during Christmas. This attractive plant makes a great conversation piece, as it displays the various colors of autumn leaves; but the real drama begins when cool temperatures give the plant a red-orange fire-like appearance. 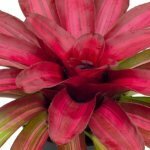 With bright light and a little water, this easy care plant will make a wonderful addition to your home. 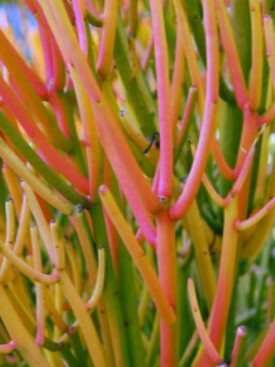 This unique looking plant is native to Africa and India and is also called a pencil cactus; however, is not a cactus plant at all, as it does not have any spines, stems, or flowers protruding from areoles the way a true cactus plant would have. 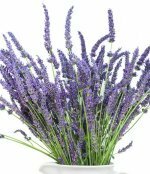 It is a fast growing, drought-resistant easy care plant that does well in containers and can grow up to 6 feet indoors and much taller outdoors. Since the firestick succulent is drought tolerant, it is an excellent plant for use in xeriscaping in areas to conserve water. The firestick cactus is an excellent way to add warmth and interest to your home during the winter season; however, avoid this plant if you have latex allergies or sensitive skin. Although this plant is colorful and pleasing to the eye, it contains a white toxic sap that can irritate the skin causing redness and burning. Contact with the eyes may cause temporary blindness in sensitive individuals and burning to the mouth, lips, and tongue. Give medical attention immediately if swallowed. You must be careful when handling this plant as the pencil stems break easily and the milky sap can ooze out. It is imperative that you keep this plant away from children and pets. Light: High indirect light in front of a window facing east, south, or west. Water: This plant is drought-tolerant and does not need supplemental water except during long periods of drought. Pot: Use a large unglazed clay pot that allows moisture to evaporate and is large enough to support the plant's future growth. Soil: Plant it in fast draining soil . Fertilize: Feed Euphorbia tirucalli 'Rosea' once a month, but only when the soil is moist. Propagation: Take cuttings of any size and let them dry for a few days before placing them into soil. Keep them shaded and slightly moist until you see new growth. Gradually move the new plants into higher light. Pest: It is vulnerable to both the mealy bug and scale. The firestick plant is a striking plant but always Wear gloves and protect the eyes to prevent skin contact with any sap and wash hands thoroughly after working the plant.